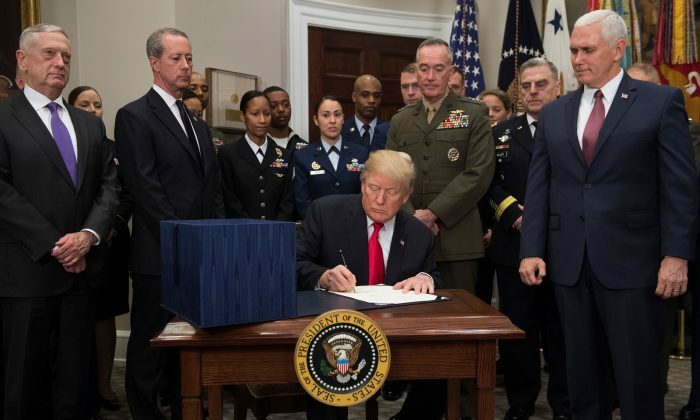 President Donald Trump on Tuesday signed the National Defense Authorization Act, the annual defense policy bill. 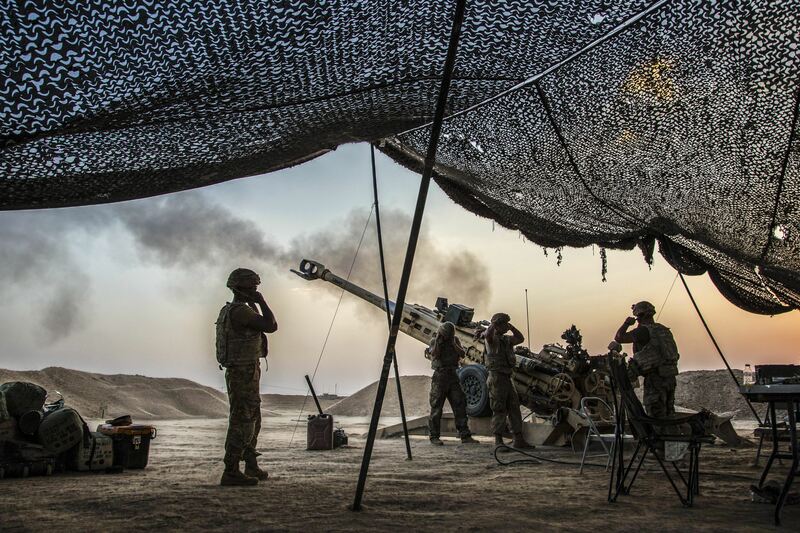 The bill includes an overall increase in spending on the military and the acquisition of new defense equipment. 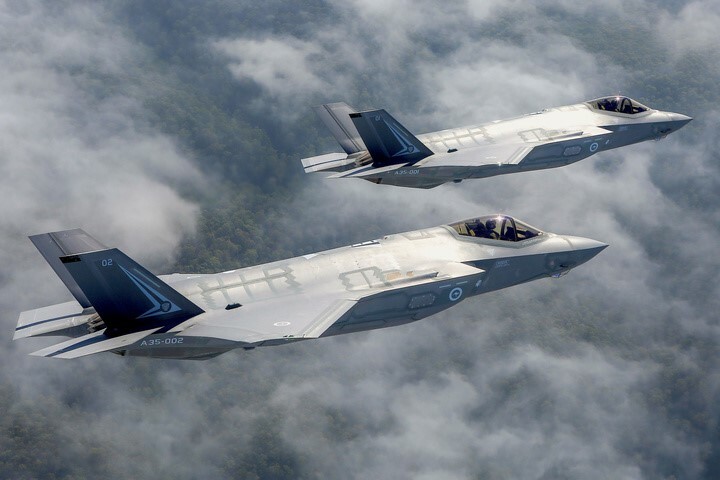 Among the budgeted expenses are F-35 Joint Strike fighters, ground combat vehicles, and Virginia-class submarines. The bill will increase the size of the American Armed Forces for the first time in seven years. It also provides military service members with their largest pay increase in eight years, according to The White House. Since coming to office in January, Trump has implemented a “peace through strength” doctrine, in which military readiness and power are used to discourage armed conflicts. “History teaches us that when you weaken your defenses, you invite aggression. The best way to prevent conflict is to be prepared, and really be prepared. Only when the good are strong will peace prevail,” Trump said at a ceremony signing the bill. The bill marks the beginning of an undoing of a series of budget cuts to the military in recent years. Defense Secretary James Mattis told Congress in June that “No enemy in the field has done more to harm the combat readiness of our military than sequestration.” Sequestration refers to automatic, across-the-board budget cuts to discretionary spending, which includes spending on the military. Trump urged Congress to fully fund the measure and lift the budget caps. The National Defense Authorization Act sets policy for the U.S. military but does not provide funding, which is approved with other legislation. Republicans and Democrats in Congress are currently negotiating a spending bill. Trump signed a two-week funding bill on Dec. 8, preventing a government shutdown hours before the deadline. The stopgap legislation will maintain current funding for federal operations and keep the government open through Dec. 22, while lawmakers continue to negotiate on a long-term budget deal. Democrats have demanded parity on defense and non-defense discretionary spending increases above the statutory caps. In addition, they are pushing for a legislative solution to the Deferred Action for Childhood Arrivals (DACA) program before the end of the year—a significant hurdle in the budget talks. The White House, however, wants to keep DACA and immigration talks out of the budget deal. 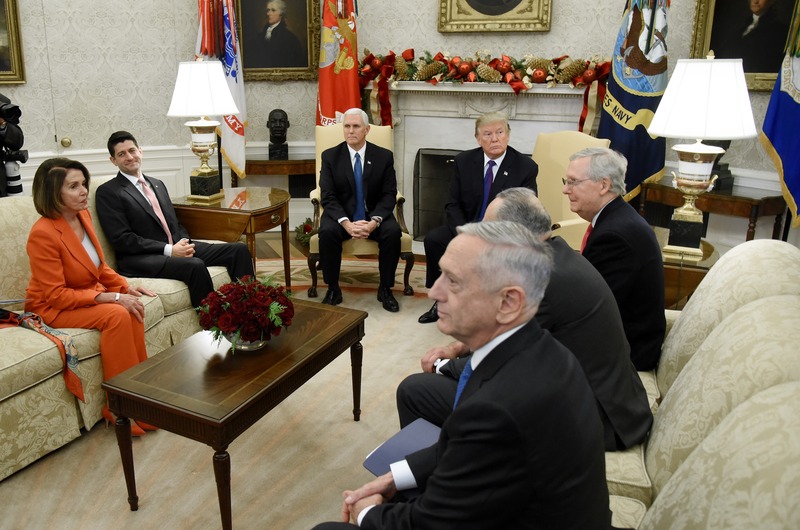 “At this time of grave global threats, I urge Democrats in Congress to drop their shutdown threats and descend clean funding and a clean funding bill to my desk that fully funds our great military,” Trump said.